We are often asked how to find a good lawyer for fathers, and the answers may surprise you. First, let us tell you what not to do: Don’t just open the phone book to the yellow pages and pick the first lawyer, or the lawyer with the biggest ad. That is a recipe for disaster. Don’t let alphabetical happenstance – or a lawyer or law firm’s willingness to pay extra for a big ad – be the deciding factor in entrusting your family’s future to a particular attorney. Prospective client: So, where did you go to law school? Me: You know, what’s important is what I’m going to do for you, and my experience, and my track record in obtaining what my clients want for them, not where I went to law school. Me: I’ve been involved in family law for fathers for many years. I’m one of the only fathers’ rights lawyers in the U.S.. I have schooled judges on fairness to fathers in family law. I’m on faculty at a law school where I teach family law. Where I went to law school is just not relevant. Me: Now, do you still want to know where I went to law school? Prospective client (now sure that I got my law degree by drawing Winky from the back of a matchbook cover): Um….yes. Me: I graduated from Stanford Law School. Does that change your impression of what sort of lawyer I will be for you? Because it shouldn’t. Relatedly, as I mentioned, I used to teach family law at a local law school in California. This law school was not nearly so well known as where I went to law school, at Stanford, but I can absolutely guarantee you that the students who graduated from that law school were every bit as qualified – in some ways more qualified – to represent you in a family law matter. At the big name law schools you get taught a lot of theory, but not a lot of practical lawyering. Some of the best family law attorneys I know went to law schools that you have probably never heard of. In fact, several of my former students now practice family law and they are darned fine family law attorneys, and you can bet that they understand family law issues for fathers! Similarly, asking them how many trials they’ve done, or their trial success rate, is not a good way to pick a lawyer, because the best lawyers for fathers will often do their damndest to keep you out of court and trials – because the trial system not only is no place for family matters, but, more importantly, because it so slanted against fathers. • Ask other divorced men who their lawyer was, and would they recommend them? A “no” response to this question is at least as valuable as a “yes”! • Also ask those divorced men who represented their ex, and whether their ex’s lawyer seemed fair and reasonable, and concerned with the kids having a good relationship with their father. If the answer to that is “yes”, consider contacting that lawyer! • If you know a lawyer who doesn’t do family law, ask them for a recommendation. Lawyers often know who are the great, and not great, lawyers in other fields. • Don’t assume that because you are a man, you should have a man as a lawyer. In fact, having a woman as your lawyer can provide both a psychological and style boost in how they advocate for you. Plus, male attorneys will more often get into costly “win at any cost” contests with each other, and because for the parents and children there really is no “winning” in family law, those contests do little other than bankrupting their clients. • Search the Internet. The advent of the Internet has made it much easier to find information about a lawyer before you contact them. 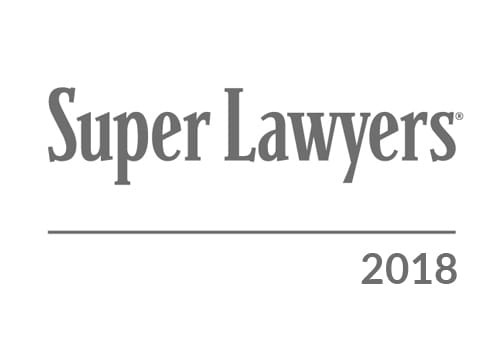 But beware, it has also made it much easier for lawyers to advertise. The truth is, family law is one of the easiest areas of practice for a new (or bad) lawyer to get into. With that said, if you know what to look for, an Internet search can be really useful. As you can see, several of these attorneys have reviews on Google, and a couple of them are really good. Half of Jennifer Rivera’s reviews are from men, and reviews like this are very useful. 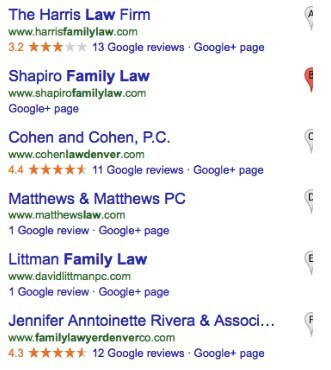 And here’s a little trick: many of the reviewers’ names are linked to their own Google+ accounts, which means that if you wanted to, you could drop them a note to ask them more about their experience with that attorney. • Another place to search for lawyers if you have no leads is by contacting both state and local bar associations in your area, and asking if they have any family law programs, or a list of lawyers who are certified in family law. • Once you have a few names, whether by referrals, from a bar association, or elsewise, you should absolutely Google them to see what others are saying about them. • Have a consultation with each lawyer that you are considering; you should consider at least three, or at the barest minimum two, different lawyers. In some areas family law attorneys charge for a consultation, in other areas they don’t. But even if they do, the money you spend up front to have a consultation with each of the lawyers will save you hundreds, if not thousands, of dollars. Working with the wrong lawyer can be very costly, and not just in terms of money. • Note that if the lawyer can’t get you in for a consultation within a couple of days, then they are too busy to really develop the right sort of attorney-client relationship with you. You also want to consult with the actual lawyer who would be representing you; if they try to push you off onto a junior associate, be wary. For these reasons, consulting with law offices that have just a few attorneys, rather than a big family law firm, can be preferable (and also less costly). • This may come as a surprise, but one of the first things to consider is how comfortable you are with the attorney – what is your gut reaction to them? This is because you have to be able to have absolute trust in your attorney; if you don’t trust them, you are going to end up not believing what they tell you, and not trusting their advice. You will end up in an adversarial position with your own attorney. Your lawyer is like a sherpa, or a jungle guide. You have to be able to rely on them to help you navigate the uncharted territories of the family law system. If you don’t trust them – if you are always second- guessing them – the relationship isn’t going to work. • How long have they been in practice? You don’t want someone who is fresh out of law school, but you also don’t want someone who has been around so long that they are jaded, or burned out, or just plain bored with the practice of family law. In our experience, someone with between two and fifteen years of practice is in the sweet spot, but we also know of attorneys who have been around for far longer, and who are really good. This is where your gut comes in. • In what percentage of their cases do they represent the man? This isn’t a deal-breaker, but you want to have confidence that they can represent a man as well as they can a woman. • How creative are they? There are certain things in family law that are really standard. Some of them are required by the law (such as the formulas for calculating child support) and some of them are “rules of thumb”, such as the division of parenting time between mother and father. For example, typically, after a divorce, the father only gets to be with the children one evening in the middle of the week, and every other weekend. So ask the lawyer what the standard for parenting time is in your area, and then ask them what strategies they have used to get creative in order to make parenting time more equal, and not just the default ‘typical’ arrangement. Listen carefully to what the lawyer says – if they say “well, that’s just how it is, nothing can be done,” well then that’s probably not the lawyer for you. • Are they telling you what you want to hear, or what you need to hear? A lot of lawyers will tell a potential client what they think the client wants to hear – not what they need to hear. That sort of lawyer is not doing you any favors. If it sounds too good to be true, it probably is. These steps will get you nearly all the way to finding a good family law attorney. The last step is also the first – after you have all of the information available to make your decision, and you have narrowed it down to a couple of choices, go with your gut. It will rarely steer you wrong. Not sure where to start looking? Check out our State-by-State Directory of Legal and Referral Organizations and Agencies. And don’t forget that you can request a second opinion from Ms. Mitchell!. We are often asked how to find a good lawyer for fathers, and the answers may surprise you. First, let us tell you what not to do: Don't just open the phone book to the yellow pages and pick the first lawyer, or the lawyer with the biggest ad. That is a recipe for disaster. Don't let alphabetical happenstance - or a lawyer or law firm's willingness to pay extra for a big ad - be the deciding factor in entrusting your family's future to a particular attorney.